Opera McGill and the McGill Chamber Orchestra present a Puccini double-bill as part of the Lisl Wirth Black Box Festival. 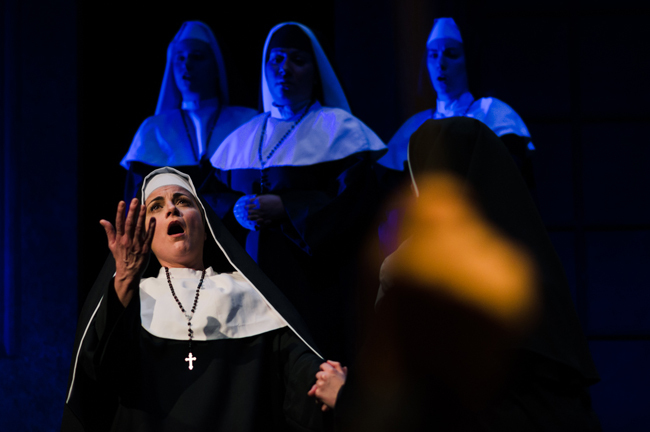 "Gianni Schicchi" and "Suor Angelica" will be performed on March 19 and 21 at 7:30 in Pollack Hall. Opera McGill and the McGill Chamber Orchestra present a Puccini double-bill as part of the Lisl Wirth Black Box Festival. Staged by renowned stage director David Gately and conducted by Boris Brott, artistic director of the McGill Chamber Orchestra, this production will be set in the time of WWI. Free pre-concert talks one hour preceding the performances. “I’ve known of the high talent level of the students here for many years, but still it has been a big surprise while I’ve been working with the students here to see just how deep the talent runs,” says Gately. Thursday, March 19 and Saturday, March 21, at 7:30 p.m. in Pollack Hall. Tickets are available online. Click on the thumbnails below to enlarge pictures. All photos by Tam Lan Truong.